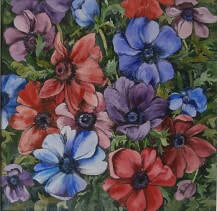 I paint in various media, but primarily in oils and water-colour. My work is underpinned by my love of drawing, and accentuated by the way I like to use colour. 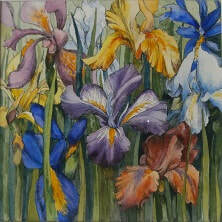 I particularly like to use strong colours in my interpretation of landscapes, images of still life subjects and flowers. I have taught art professionally both in secondary schools and adult education. Throughout my professional life I have exhibited at numerous galleries throughout South Wales and England.